Visit your AAA at West Chester, OH, at 8210 Highland Pointe Drive for car repair and maintenance. The West Chester AAA store is located just west of Interstate 75 at the Cin-Day Rd exit #21 in the Highland Pointe shopping center, near Walmart. The AAA store sits to the west of the Walmart parking lot, facing the parking lot. Former home of the Ken Griffeys (Sr. and Jr.), West Chester is a beautiful town nestled between Dayton and Cincinnati. 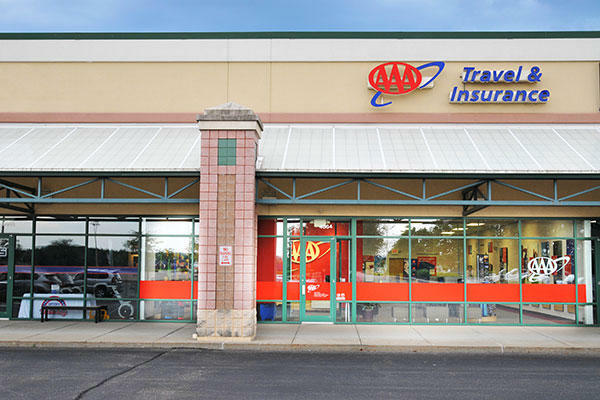 The team at AAA West Chester brings you total satisfaction and exceptional value on AAA Travel Agency products and services, including travel planning, cruises, and tours. Shop the luggage store for name brand luggage with exclusive member discounts. Visit the AAA Insurance Agency for the protection you need at a price you can afford for auto, home, and other policies.